Is this a Lucilia sericata..? compared to fly 1 (the former fly). And the shape of the head seems different. That's what makes some confusion to me. Thank you for your reaction John! The green dusting is normal for Lucilia but it is not always noticeable. The dusting is limited to the upper part of the parafacialia, whereas the dusting extends closer to the base of the antennae and the lower part of the genae on Neomyia. 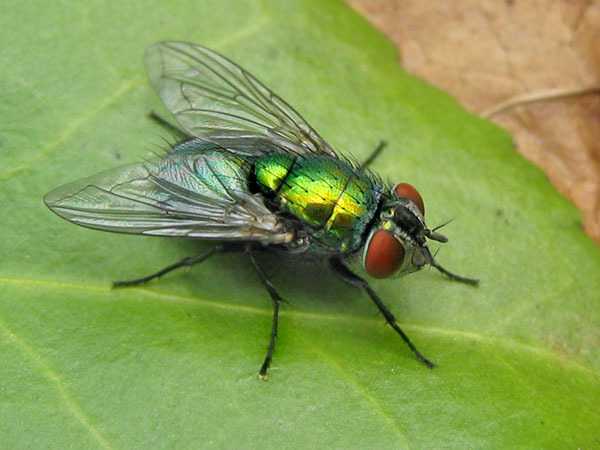 You should also notice that Lucilia are not always the same size. You might find a very large female sitting beside a very undersized female of the same species, which looks strange. OK John, thank you for your reaction and explanation!